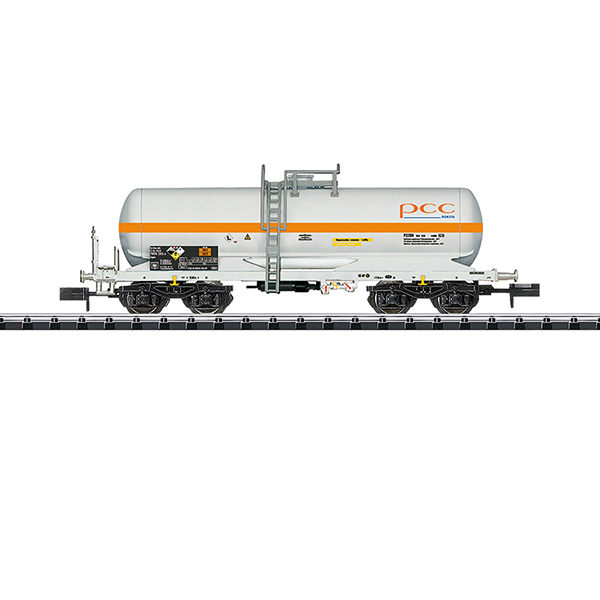 Prototype: PCC Rokita chlorine gas tank car. The car looks as it currently does in real life. Model: The car has a detailed partially open frame. The trucks are type Y 25. The car has a separately applied work platform. It also has a separately applied brakeman's platform. Length over the buffers 80 mm / 3-1/8".